It’s St. Patrick’s Day today, and the name of this brand is Patric Chocolate, not “St. Patric(k)’s” Chocolate, but let’s go with it; this is some magical Leprechaun-worthy cocoa. Patric Chocolate is special. It’s “American Handcrafted Chocolate,” est. 2006 by Alan “Patric” McClure out of Columbia Missouri, USA. According to the interior of the chocolate bar packaging, Alan spent a year in France in his mid-twenties learning about chocolate. As of 2017, the brand has been rewarded Good Food Awards every year, making it the most decorated craft food producer in the USA. Impressive. This particular bar, the Browned-Butter Bar, was awarded the Good Food Award in 2016, and according to the salesman in The Chocolate House (read more here), it’s an absolute favorite. The packaging lists the following ingredients: cacao, organic dark brown sugar, browned organic cultured butter (cream, cultures), organic cocoa butter and sea salt. Butter? What would this bar taste like? After opening the beautiful package design, which unfolds out like a star with four parts, the bar is revealed. The molding is stunning — it’s Patric written in a unique cursive-esque modern font. You’ve probably seen Patric bars all over social, because they are simple but unique. And oh, the color of the chocolate. So rich looking. The aroma of the bar was overwhelming. Absolutely decadent and full. It smelled like a memory in itself. Like the bar was waiting to show you a secret passage. A welcome home. An escape. Safety. Was it the butter? Was the smell like a cozy cottage in the woods? Was it the brown sugar? Was it like Christmas morning? Why does this bar smell like a bit of dried oranges? Why did the smell of this chocolate bring up so many comforting feelings? And then, the chocolate’s snap. Like an Olympic figure skater’s ice skate, the bars’ snap was clean like a blade landing on ice. In thinking about the snap of other bars, this snap was just a touch more soft and gentle. Probably the butter. The first nibble was absolute magic. This bar tastes strongly of, you guessed it, butter. Butter in the best way — with brown sugar and a soft finish of sea salt. This bar is a dessert in itself. On the chocolate tasting wheel, the best notes to describe it are: milk: butterscotch and sugar: brown sugar. This bar isn’t for everyone; if you’re looking for a simplistic dark chocolate that’s unadulterated by any other flavors, this bar is simply going to be too much for you. 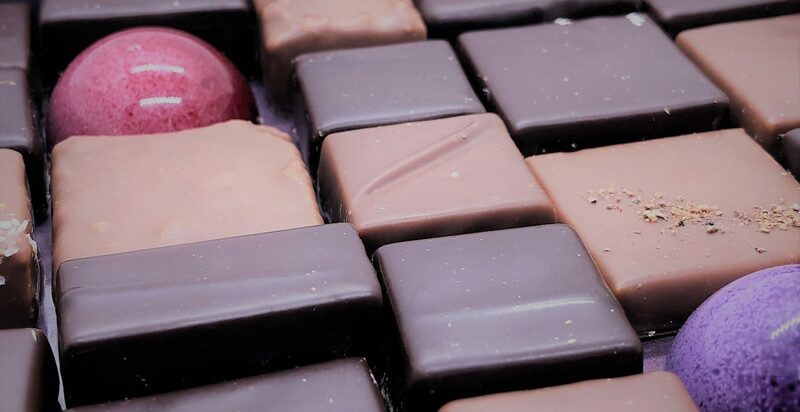 However, if you are looking for dark chocolate with full-bodied cocoa notes and a creaminess that will immediately comfort all of the senses, try this selection. Time Cupsoul simply can’t wait to try more Patric Chocolate. Happy St. Patrick’s Day! If you enjoyed this post, please check out the other St. Patrick Day chocolate post, ‘Luck of the Irish’ – Bean and Goose Chocolate Bar. Wishing you a pot of gold, or at least some chocolate gold coins 🙂 Patric Chocolate bars are approximately $10 USD.